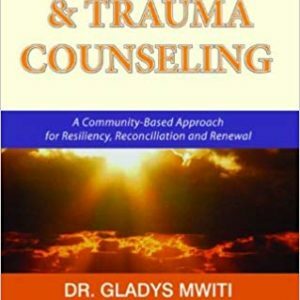 Dr. Gladys Mwiti is a clinical psychologist in Nairobi, Kenya, and founder and CEO of Oasis Africa Center for Transformational Psychology and Trauma, a pan-African professional organization shaping the field of psychology in Kenya. In addition to providing trauma-focused therapy and supervision, Dr. Mwiti is heavily involved in advocacy work, collaborating with government offices, community organizations, and churches. 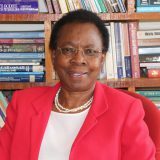 She serves as chair of the Kenya Psychological Association, interim chair of the Kenya Society for Traumatic Stress Studies, and chair of Governing Council at the Co-operative University of Kenya. She has just completed two terms as member of the board for the International Society for Traumatic Stress Studies. 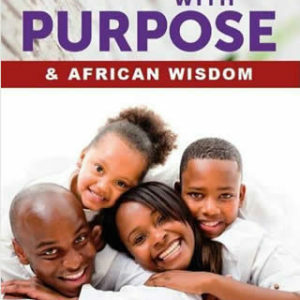 Dr. Mwiti has authored five books and published in various journals, and is a well-travelled international speaker in many professional forums. “If you ask a child, ‘What’s up?’ you get many answers—if you listen,” Dr. Mwiti shared in our interview. As a high school science teacher in the 1980s, Mwiti noticed that some of her students were struggling with more than physics and chemistry. They looked sad, they couldn’t concentrate, and many days, they missed school. Inquiring about their situation, she was not fully prepared for their painful stories. Many of these students were traumatized due to parental neglect, while others lived in a constant state of fear because of domestic violence. Several girls had experienced physical, sexual, or emotional abuse, and a few had been forced into child labor. While Kenyan culture includes many indigenous resilience factors, Dr. Mwiti described that, with many families moving into cities for work, community bonds have become increasingly lost, leading to destabilization of home life, more stress, and greater risk of child maltreatment. “I didn’t know what to do,” Mwiti remembers. “Although I taught with diligence and most of my students started excelling in class, I felt helpless to meet the total needs of the child.” There were no counselors or psychologists in the school system, so Dr. Mwiti advocated with the Minister of Education to support the development of school-based services, offering to go back to the university to earn her psychology degree, and head this up. Unfortunately, Dr. Mwiti’s enthusiasm was not reciprocated. “We don’t need psychologists,” the leadership retorted. “Our need is for teachers with advanced chemistry degrees. You have resisted going abroad for a study leave because you do not want to leave your young family behind, while others do not seem to have a problem with that!” Not to be dissuaded, Dr. Mwiti left her job, and as a mother to four young children, enrolled in United States International University in Nairobi, the only school offering psychology training in the country at the time. There, she earned her undergraduate in psychology and master’s degree in counseling psychology. Following graduation in 1990, Dr. Mwiti and her husband founded Oasis Africa, beginning to offer counseling, trauma-focused therapy, and crisis intervention. 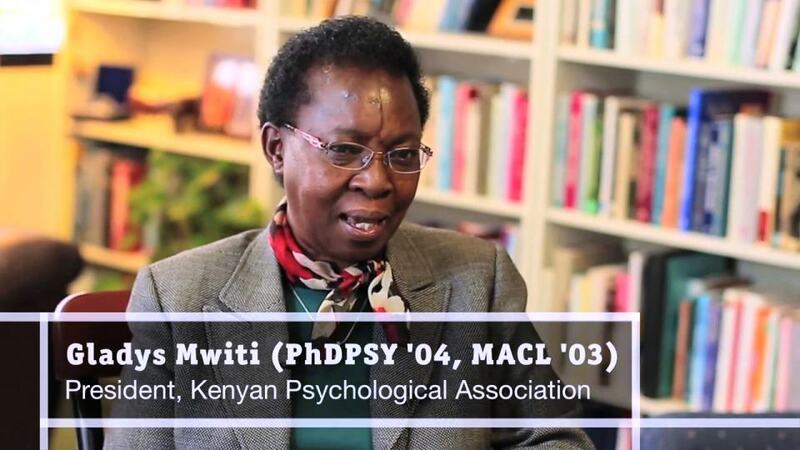 At that time, Mwiti was one of very few psychotherapists in Kenya. There was no ethics code, no training guidelines, no licensure process, and no paid positions available. Mental health was conceptualized almost solely from a medical model. Due to British influence in education curricula, there were a number of psychiatrists trained in the country’s medical school, and the mindset was “a pill for every ill.” With a background of community-based indigenous support systems, Kenyans struggled with the idea of paying to talk with someone. Mwiti joked that many people told her they could just talk with their grandma, and her work was not initially valued, despite the widespread trauma many Kenyans had experienced. Her first patients were students referred by teachers, but over time, parents and other community members began to see the value of psychotherapy as well. Dr. Mwiti’s work did not stop in the consultation room, as she recognized the dire need for training and development in Kenya and across Africa. Mwiti began to collaborate with humanitarian organizations and faith-based agencies in providing support following disasters. Oasis Africa was the first external professional team in Rwanda following the genocide in 1993, and led in creating a collaborative program to provide support following the 1998 US Embassy bombing in Nairobi. “With every trauma, as psychologists and counselors, we volunteered our services,” Dr. Mwiti shared. She also consulted with agencies to help incorporate mental health within community development programs, particularly in light of the many children orphaned by the HIV/AIDs crisis. 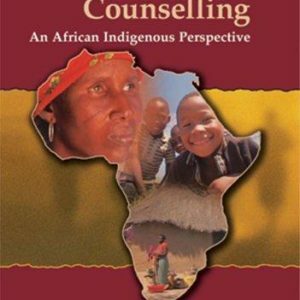 I was curious how Dr. Mwiti made ends meet as a psychologist in a developing country. She shared that while much of her work was pro-bono early on, as the public awareness grew surrounding the importance of psychological care, a paradigm shift ensued. In 1997, the Kenyan Psychological Association (KPA) was founded, and Dr. Mwiti and others used this new platform to both educate the public about the need for mental health services and advocate for recognition of the profession on a national level. KPA developed an ethics code, and began to credential and license mental health practitioners. 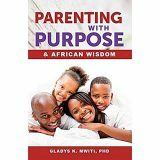 Recognizing the need for more training, Mwiti came to the U.S. and completed her doctorate in Clinical Psychology at Fuller Theological Seminary’s Graduate School of Psychology. In light of her holistic trauma treatment focus, Dr. Mwiti described how she had recognized spirituality as a key resilience factor among many of her patients, and thus, aimed to gain advanced training in this area as part of her doctoral work. Upon her return in 2005, Dr. Mwiti became the chairperson for KPA. Since that time, she has invested a great deal of her energy helping to create a place for psychology in the public sector. Dr. Mwiti speaks often on radio and TV, at schools, universities, and churches, and other public gatherings—providing psycho-education and raising awareness about trauma and mental health. 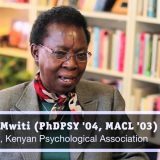 While psychology programs at Kenyan universities used to be mainly theoretical, Dr. Mwiti has worked with program directors to incorporate assessment and practicum coursework and training hours. Presently, there are at least ten universities in Kenya offering master’s degrees in counseling or clinical psychology, and several doctoral programs. Dr. Mwiti and several colleagues collaborated with the Ministry of Health over several years to put together a bill for the development of the Kenyan Board of Counseling and Psychology (KBCP). At the time of our interview, she was excited to share that Parliament is currently reviewing amendments to the bill, which should be enacted in the near future. This bill represents tremendous progress for the field, as psychology will finally be officially recognized as a profession in Kenya. In conjunction with the Ministry of Health, the KBCP will begin to create psychologist and counselor positions in hospitals and other medical settings, where patients have experienced significant trauma, but as of yet, often only have access to medication. Psychological testing and psychotherapy will also be included in patients’ treatment plans on a national level. The establishment of the KBCP also serves psychologists by providing an official license, guided by clear ethical guidelines, including core training, competency, and continuing education requirements. Dr. Mwiti pointed out that this is critical as the field continues to develop to ensure that patients receive quality care. The Board will regulate clinical practice, as well as accredit university training programs by ensuring training standards are met. These advances, Dr. Mwiti points out, are critical for the physical and emotional well-being of Kenyans. Citing the World Health Organization’s call for mental health to be taken seriously, Mwiti noted that few African countries have such policies supported by the government. With pride, Dr. Mwiti noted that Kenya is one of the African nations leading the way in this regard. The Kenyan Ministry of Health has adopted a mental health policy, which validates the need for a multidisciplinary treatment approach, including psychiatrists, psychologists, counselors, and related professionals. This new policy allows for a more holistic perspective to trauma treatment (e.g., more than medication) and takes seriously systemic issues that undermine mental health, including abuse, neglect, and violence. Historically, mental illness in Kenya was seen as something chronic and irreversible. However. Dr. Mwiti believes that KBCP will work closely with the Ministry of Health to advocate for mental health funding, citing how psychiatric hospitals are very underserved, many of them with no psychologists on staff. Further, many people admitted to these hospitals need more than restraint and medication—they need substance abuse treatment, rehabilitation, and trauma treatment. She also envisions KBCP’s role in advocating for the creation of psychology clinics in every hospital, so that holistic services are more accessible. Dr. Mwiti’s approach to trauma work is systemic and holistic. “You don’t just treat—you also look for the causes of mental struggles. We can’t just lock mentally ill patients in an institution or send addicts to our few rehabilitation centers. 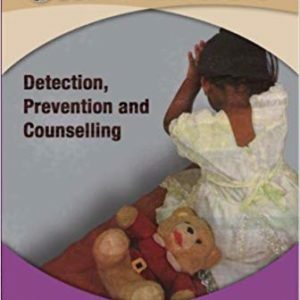 We must ask, how did they get there?” For example, she noted in the case of a depressed adolescent using substances, the underlying cause might be domestic violence, abuse, triangulation or parentification. None of this can be “fixed” solely with medication. Without holistic treatment, traumatized adolescents are at risk of growing up to perpetuate violence, either in their families or through radicalization on a community level, as in Boko Haram or Al Shabab. This is the resounding message with which Dr. Mwiti has advocated for psychological care in Kenya over the last three decades. Recently, she addressed two African union leadership forums on the role of untreated trauma in radicalization and violent extremism, in that, if cycles of abuse are not broken, especially in youth and children, the abused can easily identify with the abuser and grow up to become perpetrators themselves. 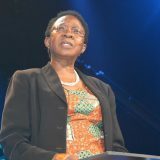 Mwiti described her approach as two-fold: continually educating the public about the need for psychological help following trauma and, through Oasis Africa, providing a clinic to help meet that need through psychotherapy, training, and community-based interventions. As a visionary, Dr. Mwiti recognized early on in her career that the need for trauma care was far beyond what she herself could provide. As such, she set out to create a training model for psychological care, and to supervise and develop trainees. Currently, Oasis Africa has a team of 15 psychologists on staff, as well as practicum/internship students from several local and sometimes, international universities. In our interview, I was struck by Dr. Mwiti’s unwavering passion in the long journey from leaving her teaching job to pursue psychological training—to now finally seeing a national board established over thirty years later. The work is far from over, yet Mwiti beamed as she shared about the advances being made, and the doors opening on community and national levels. Men, women, and children in Kenya now have greater access to psychological treatment than ever before, and there is a growing cultural understanding of how trauma impacts the psyche, and the healing that is possible. Seeing the positive impact that psychotherapy and psycho-education makes in people’s lives, more and more people are seeking therapy and the medical professions are referring their clients who need the same. Trauma work is taxing, and Dr. Mwiti cited her faith, self-care, and the support of her husband, children, and community as “the wind in my wings.” In addition, as Oasis Africa encourages ongoing supervision for all psychologists, she also draws on peer supervision for support. For this psychologist, advocacy is more than a career. It is her calling, a calling she has given her life to. And the ripple effect across Kenya is notable.